Sirena Rana Dufault is an advocate for the outdoors and wildlife. For over a decade, Sirena has helped to build, maintain and promote the 800-mile Arizona Trail (AZT) and has hiked it twice. 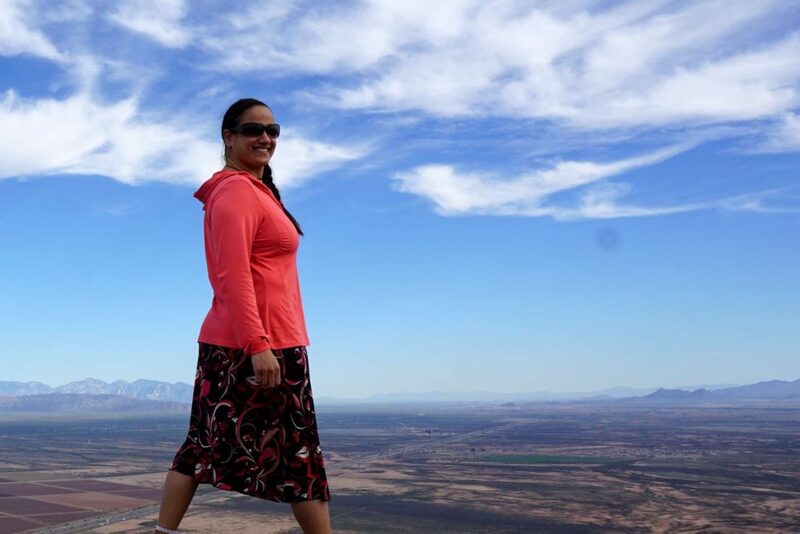 Right now, she's in the process of writing a book, Day Hikes on the Arizona National Scenic Trail, which will be published in Spring 2020 by Wilderness Press. Sirena's company, Trails Inspire, LLC, provides consulting services dedicated to promoting the outdoors, and one of their current projects is to develop a community trails plan for the Town of Tusayan, the Gateway Community to the Grand Canyon. Speaking of the Grand Canyon, Sirena is also working on section-hiking the length of it, and when she's not working or hiking you can find her volunteering at Wildlife Rehabilitation in Northwest Tucson, specializing in raptors. In this episode, Sirena tells stories from her years spent hiking (particularly in Arizona, both in the Grand Canyon and along the Arizona Trail), starting by sharing the fears she had as a new and inexperienced hiker—definitely something I could relate to! She also talks about the work she's done to build and maintain various trails, and shares tips and tricks for anyone looking to hike in the desert. Sirena also shares stories from her volunteer position in the world of wildlife rehabilitation, which just like hiking is something she started with very little experience. That's a wonderful theme of this conversation actually: the way Sirena embodies the idea of just learning as you go, and it was such a treat to have this conversation with her. I hope you enjoy it just as much!